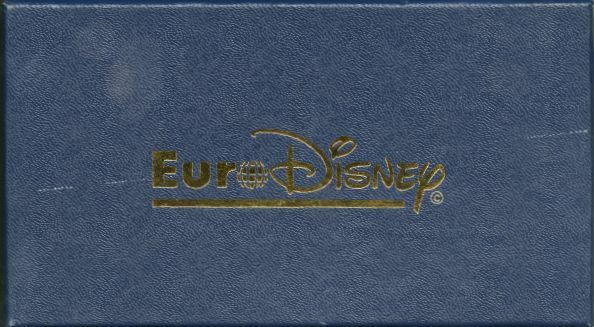 Disney Euro Disney Paris 1992 Opening 6 Pin Set Park Lands in its Original Box. Disneyland Paris, originally Euro Disney Resort, is an entertainment resort in Marne-la-Vall�e, a new town located 32 km (20 mi) east of the centre of Paris, and is the most visited theme park in all of Europe. It is owned and operated by Euro Disney S.C.A., a publicly traded company in which The Walt Disney Company owns a controlling stake. The resort covers 4,800 acres (19 km2) and encompasses two theme park, many resort hotels, a shopping, dining, and entertainment complex, and a golf course, in addition to several additional recreational and entertainment venues. 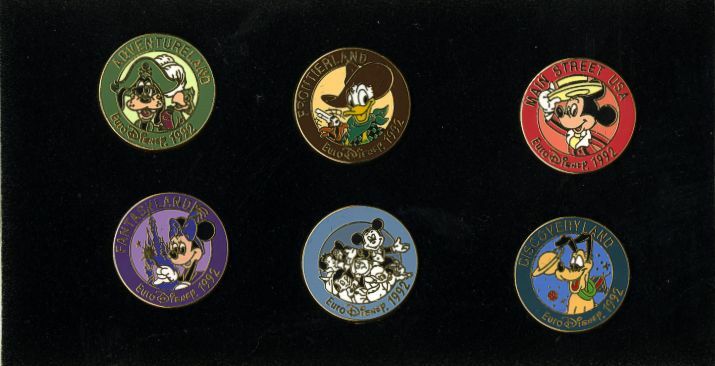 Disneyland Park is the original theme park of the complex, opening with the resort on 12 April 1992. A second theme park, Walt Disney Studios Park, opened in 2002. The resort is the second Disney park to open outside of the United States following the opening of the Tokyo Disney Resort in 1983.